When I was growing up in the middle of nowhere, USA, my family loved “exotic” (ha!) Chinese restaurants. When we were really little, we used to go to a restaurant called The Hawaiian, which was Chinese food with cheap plastic leis and Easter Island figures everywhere. All I can remember from those days was ordering Shirley Temples and eating the maraschino cherry. At some point, when my mother started passing out from the MSG in their food, we switched to another Chinese restaurant. That’s where I discovered lemon chicken, which I considered to be the best Chinese restaurant dish, and I never felt the need to order anything else. My brother always ordered General Tso’s chicken. 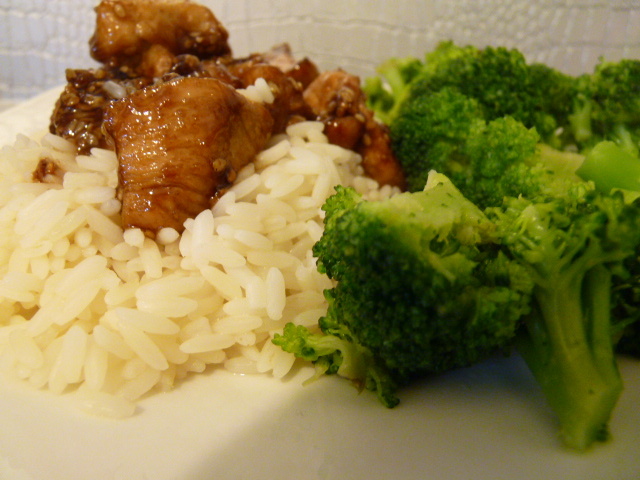 My mom always got steamed white rice with steamed vegetables (you know, moms). My dad was more adventurous, and didn’t always order the exact same thing like the rest of us. Then my mother became close friends with the owner of a different Chinese restaurant. That place had a buffet. So you know how that goes. We would end up drinking at least a gallon of tea each, and I finally had the chance to try something besides lemon chicken. I branched out to General Tso’s, and that was all I needed to know. Between lemon chicken and General Tso’s chicken, my dessert-as-entree needs were pretty well covered. The sugar high was countered by all the Sweet n’ Low in the tea, I suppose. All of that by way of introduction because there’s not really that much to tell you. We’re going to do this the… ehem… “healthy” way. We’re not breading anything here. That’s just taking things a little too far, don’t you think? Stirfry some chunks of skinless, boneless chicken breast or chicken thigh (thigh is more authentic, but breast is fine too). When they’re just about fully cooked, sprinkle on the sesame seeds and keep stirring. This will gently toast the seeds, releasing their flavor. 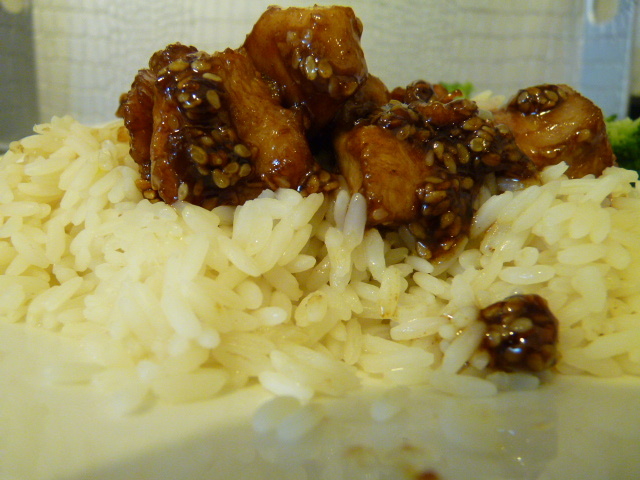 Spoon a few tablespoons of our yummy homemade General Tso’s Sauce onto the chicken and stir. 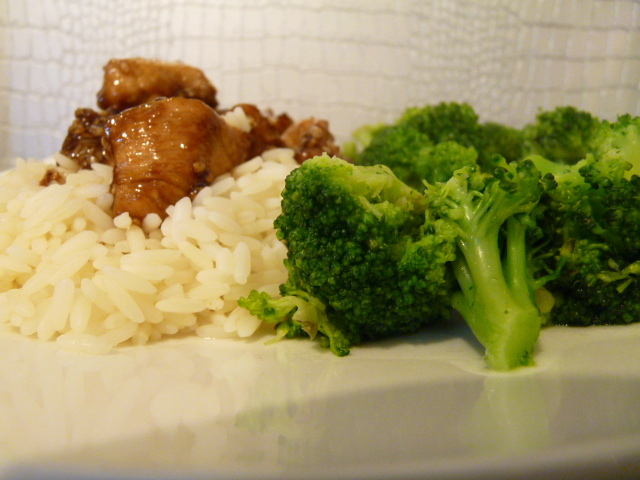 Serve over steamed white rice with steamed broccoli. 1. 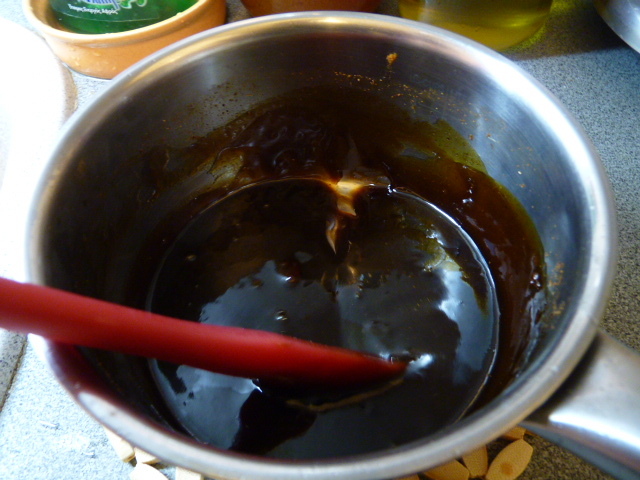 Prepare the General Tso’s sauce according to the recipe here. 2. Stirfry the chicken chunks in the oil. 3. 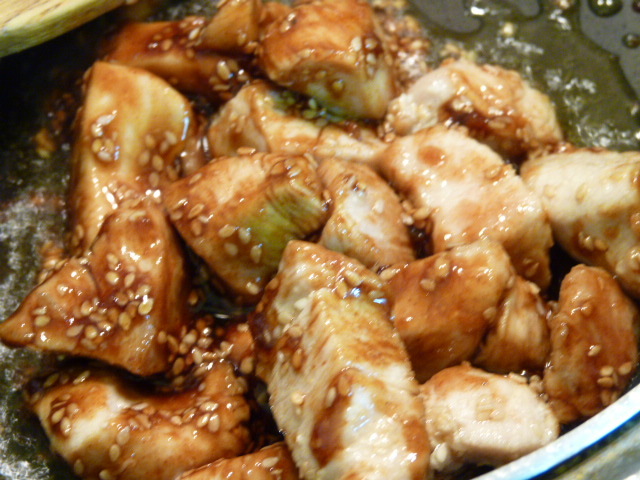 When the chicken is cooked through, sprinkle the sesame seeds on top and stir gently to distribute and toast the seeds. 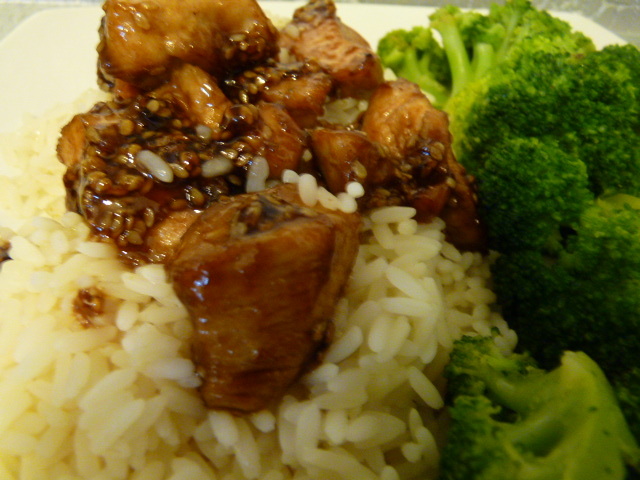 Spoon the sauce over the chicken, stir briefly, and serve over steamed white rice with steamed broccoli. Is this stuff available where you live? If so, you probably don’t give it much thought. I didn’t either. But as soon as Western “Chinese” food became inaccessible, I forgot about how I used to turn up my nose at its sugar content and inauthenticity. I just wanted some good old-fashioned General Tso’s. As it turns out, it tastes much better if you make your own, and it’s not as bad for you. It’s still not going to win any nutrition awards, and I still get a bit of a sugar rush off it, but it’s MSG free and has no added salt (though it does have soy sauce), and if you don’t fry the meat, it’s fat free too. In this post, we’ll make the sauce. 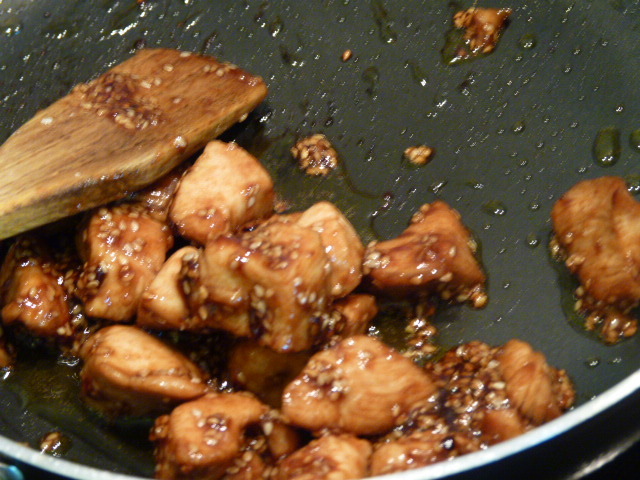 I’ll use the sauce to make Sesame Chicken, General Tso’s delicious cousin, soon. The sauce can be used in either recipe, and you can keep it in the fridge for a while without worrying about it going bad. It’s so easy, and tastes so much more delicious than the restaurant or bottled kind, you will kick yourself for not making your own. Try not to kick yourself too hard. That’s not nice. Assemble your ingredients. There is nothing weird or hard to find on the list. 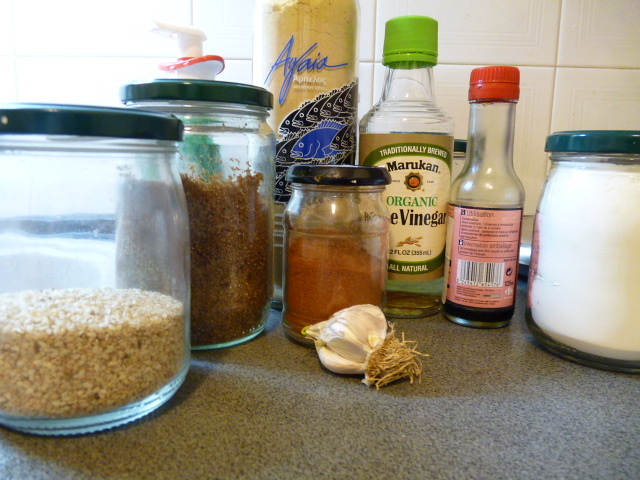 The rice vinegar is ideal, but you can use any other mild vinegar if you don’t have any. There are not really any steps to this recipe. You kind of just dump everything in a saucepan and boil it. And that’s kind of it. But, because this is a blog, we have to have content. So here we go. 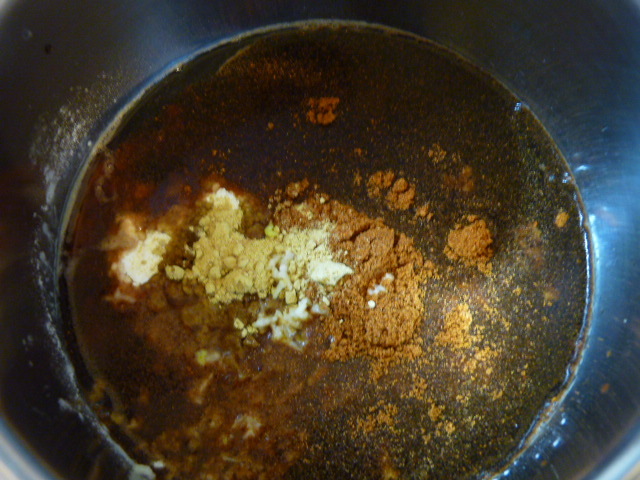 Put the dark brown sugar, rice wine vinegar, red wine*, soy sauce, cornstarch, hot paprika, ground ginger, and garlic in the saucepan. Stir it up a bit. Put it on the stove, on medium heat. Stir it periodically. 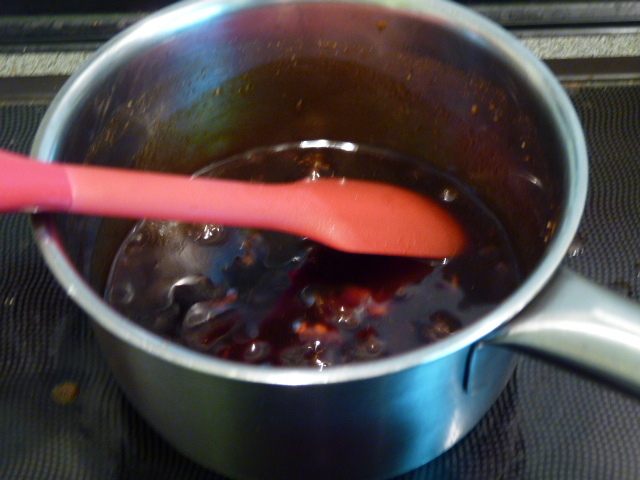 You want it to boil gently, and you don’t want it sticking to the bottom, so don’t ignore it too much. Try not to inhale the steam. Vinegar steam is painful. After about 5 minutes or so, taste it. You shouldn’t be able to taste the vinegar and wine anymore. It should be thickening up nicely. I usually let it go around 8 minutes. 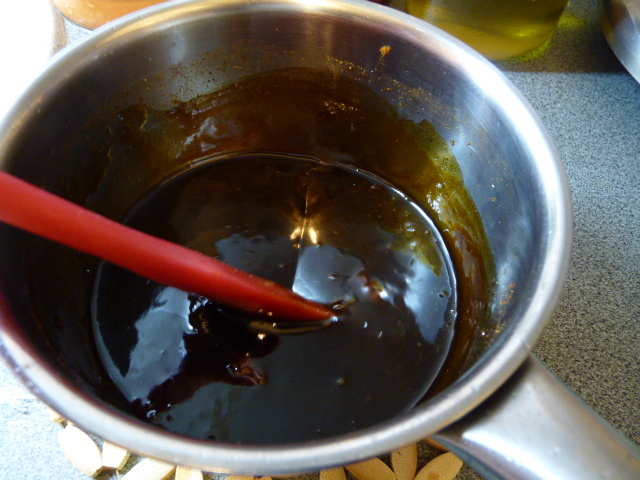 If you want to use it as a dipping sauce, you will want to cook it longer to thicken it more; but for most applications, you want it to be about the consistency of a thick barbecue sauce. And you’re done! You can store it in a glass jar in the fridge for a week or so. The vinegar will protect it from going bad right away. 1. Put all ingredients in a small saucepan. Stir. 2. Heat over medium heat. Bring to a gentle boil. 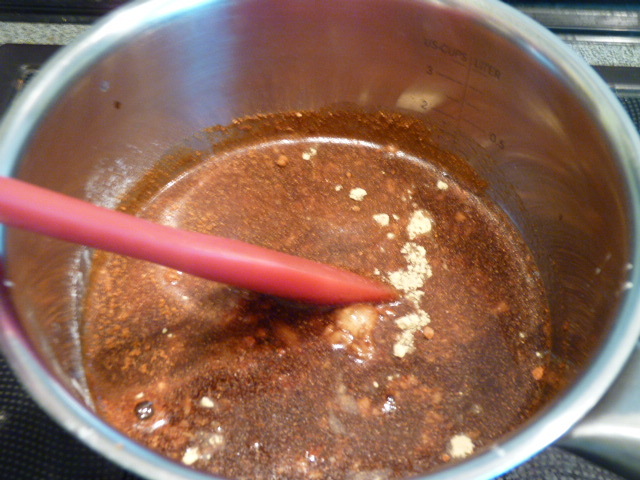 Stir periodically to prevent sticking. 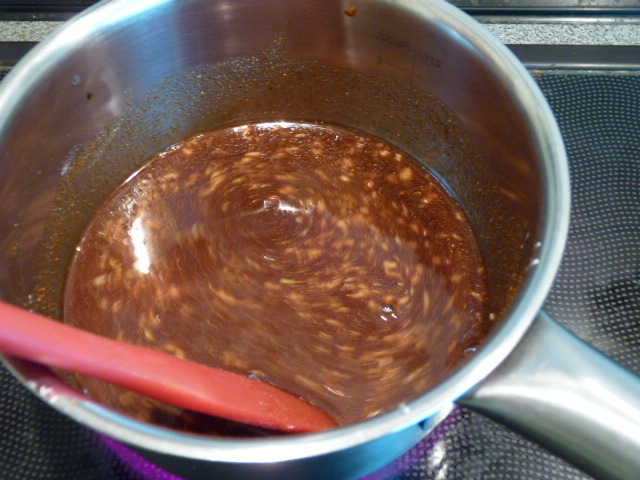 After about 8 minutes, or when sauce has thickened considerably, remove from heat. 3. Use in recipe, serve as dipping sauce, or refrigerate in a glass jar.